Those pictures are not so recent but I haven't published yet so I thought that this was a good time to share them on my blog. 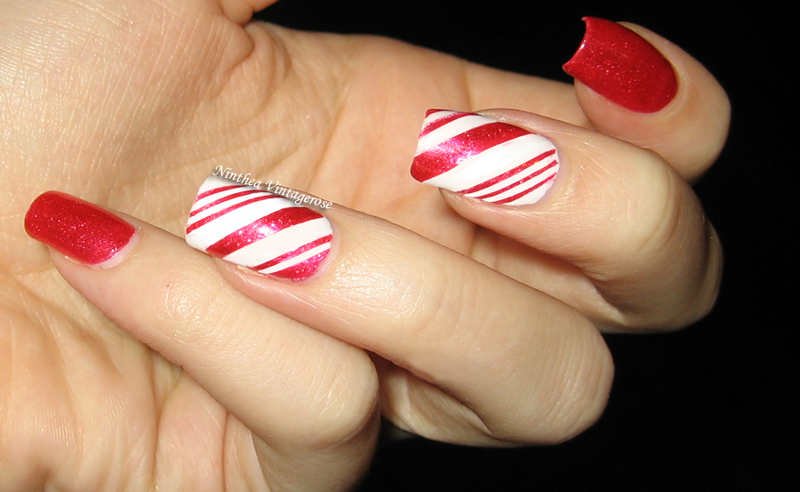 To do this manicure I used stripes and tape.. but I am not sure of the result... I think I should have made more red lines...hmm.. What do you think? 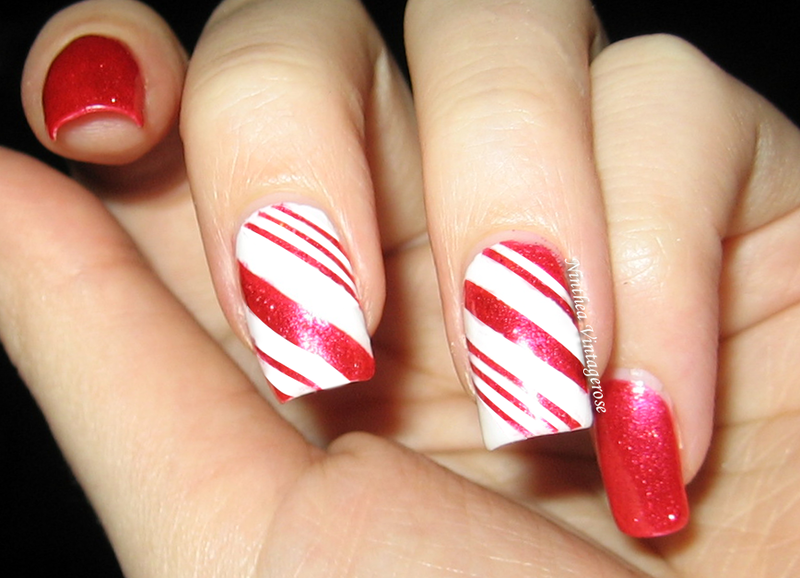 These nails look great! So festive and fun! 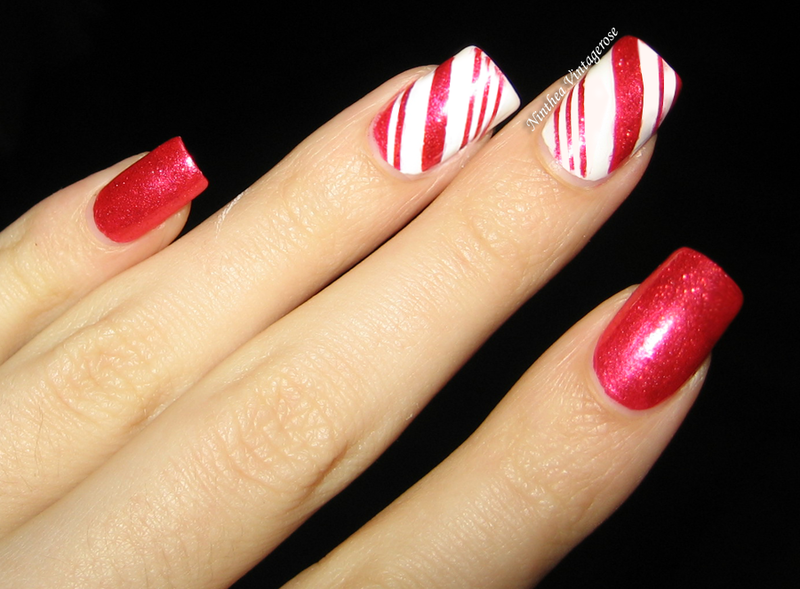 What a beautiful candy cane mani! Odličan efekat. Izgleda kao prava luša.